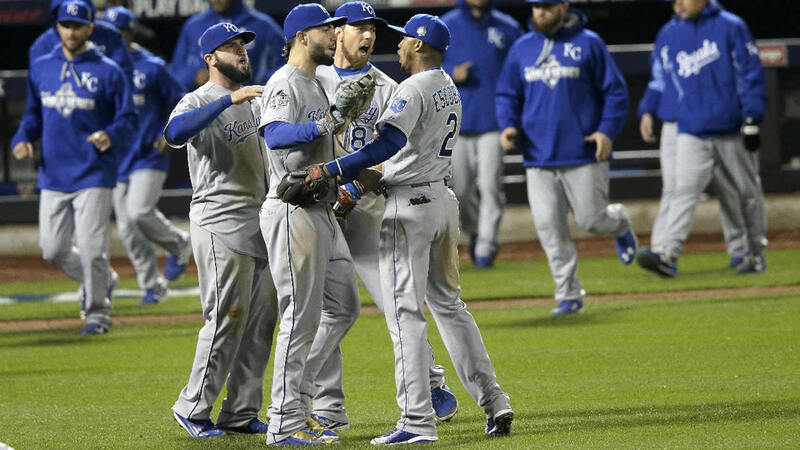 NEW YORK -- The Kansas City Royals rallied for three runs in the eighth inning after second baseman Daniel Murphy's error and startled the New York Mets 5-3 Saturday night for a 3-1 lead in the World Series. Mets rookie Michael Conforto hit two home runs, and a sellout crowd kept getting louder and louder on Halloween night. But the fans at Citi Field gasped, then went silent after Murphy's misplay. Murphy let Eric Hosmer's grounder go under his glove with one out, allowing the tying run to score. Mike Moustakas and Salvador Perez followed with RBI singles.